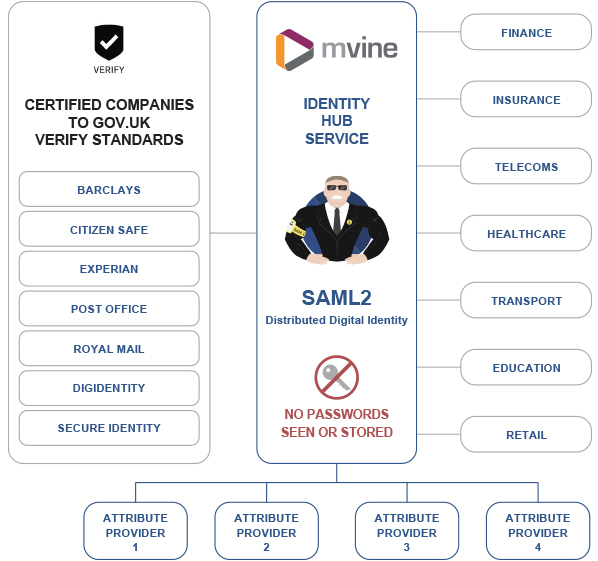 Distributed Digital Identity specialists Mvine Ltd announces today it has delivered its Identity Hub Service on the GOV.UK Verify Sandbox. Mvine is working with Cabinet Office on this sandbox project. The move means Government trusted identities created under the Verify scheme will be able to be used by private sector businesses for the first time to assure identity in a wide range of interactions and transactions.